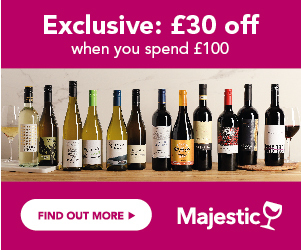 Find the best discounts on Codorniu wines from top UK's merchants. Compare current deals, be inspired with our Deal of the Day and use exclusive vouchers. Sign up to Price Alerts to never miss a deal on your favourite bottle. Although not the biggest brand in the UK, Codorniu is the biggest Cava producer in the world, and one of the very oldest, with a company history, dating back over 450 years, to 1551. Today the company is at the forefront of technology and runs massive production facilities, for wines, which are exported the world over. The company produces over 60 million bottles of Cava annually. The Codorniu heritage dates back to the 16th century, but came to prominence in the late 17th century, when Anna de Codorniu inherited the family business, highly unusual for a woman in that era. She married Miguel Raventos, who was also from an important wine producing lineage. The company is still run by their descendants. 1872 was the year that one of their descendants, Josep, travelled to France and discovered the Champagne art of making sparkling wine. He brought his learnings home, and began to focus on making sparklingwine, in a similar method, but using the local grape varieties of Macabeo, Parellada and Xarello. The real visionary behind the extraordinary success of Codorniu has to be his son, Manuel Raventos, who in 1885 became convinced of the vast potential that they had uncovered, and decided to focus the business exclusively on the production of sparkling wine by the traditional champagne method. In 1895, he took the business a stage further and dug vast underground cellars, to ensure the optimum ageing conditions for their sparkling wines, similar to Champagne. With the business growing , he bought 3500 hectares of land in 1911, and in 1915 opened a new winery, about 40 minutes from Barcelona,which was hailed as a great example of architecture and designed by one of the foremost Spanish and Catalan architects, of the same school as Gaudi. The cellars have continued to be expanded and developed over the years, and in 1976, were declared a National Monument of historic and artistic interest by King Juan Carlos. The cellars are still at the heart of the business; Codorniu have arguably the most extensive vineyard plantings in the region, and the largest cellars, with vast tracks of underground cellars and huge riddling machines, which automatically twist and tilt the bottles, as the ‘traditional’ method of sparkling wine production demands, but is far faster and less labour intensive than the manual method. In 1983, still one step ahead of most other producers, Codorniu were the first to introduce the use of the Chardonnay grape into their Cava production, with the launch of Anna de Codorniu, followed in 2004, by the launch of the first ever Pinot Noir Rose Cava. Codorniu have always been at the vanguard of innovation; with the oldest and most extensive plantings of the classic champagne varietals, Pinot Noir and Chardonnay, in 2010, they also launched the first ever ‘Blanc de Noirs’ Cava, a style popular in Champagne, with the wine produced only from the black Pinot Noir grapes. What Styles Of Wine Do Codorniu Produce? Codorniu is famous for its range of top quality sparkling wines from San Sadurni d’Anoia, in Catalonia, northern Spain, about an hour from Barcelona, and is the world’s largest Cava producer. The standard Cavas are produced from 3 main grape varieties, all Spanish, Parellada, Macabeo and Xarello. However Codorniu have pioneered the planting, and use of the 2 top Champagne grapes, Pinot Noir and Chardonnay, and now produce Cavas, exclusively from these varietals. Codorniu Clasico Brut – with a recent label redesign, this is the classic house style, made with the same blend of grapes that Josep discovered centuries ago – fresh, citrussy and lively, with a creamy, biscuit edge. Codorniu Clasico Rosado – the pink version of the classic style, produced from the Monastrell and Garnacha grapes, lively, and vibrant with ripe berry fruit flavours. Codorniu Extra Brut and Rosado brut – these are similar styles to the Clasico brut and Rosado. Codorniu Vintage and Vintage Rosado – top quality Cavas, made in the same tradition as the Clasico, with similar blends, but produced from wines of only one year, and aged for at least 9 months to provide greater depth and character. Anna de Codorniu brut – named after the original heiress, this is the blend that Codorniu pioneered using the Chardonnay grape – elegant, creamy, with lifted citrus flavours, it is a delicate, fresh style .. and happens to be Spain’s top selling Cava. Anna de Codorniu Brut Rosado – the pink sister to the Anna, this is made from a classic Champagne blend of Pinot Noir and Chardonnay – more elegant than most Cavas, ripe, fruity, and stylish, with lovely, delicate summer fruit characteristics. Codorniu Seleccion Raventos Brut – with its distinctively historic bottle shape, this is a blend and style of Cava, which used to be made from specially selected vineyards, for the family. This was made commercially available in the late 90s, and is a blend of the traditional Xarello and Macabeo, with the Chardonnay adding to the style, and complexity of the blend. Reina Maria Cristina Blanc de Noirs brut - the most recent launch, and the first Cava ever made in the ‘blancs de noirs’ style, using only Pinot noir grapes – elegant, full bodied, and stylish. Codorniu Pinot Noir Rose Brut – the first ever rose Cava to be made from the Pinot Noir grape ( the main Champagne grape), with Codorniu the first to introduce this style, and with the oldest and most extensive Pinot Noir vineyard plantings in the region. Creamy, raspberry scented, and bursting with vibrancy. Codorniu have also recently launched 2 still wines, a fresh, smooth Albarinho Chardonnay, and a ripely fruity Tempranillo Cabernet Sauvignon. Sparkling wines are always associated with celebrations, but they are great everyday drinking wines also, as a little treat! Great with canapés and snacks, these wines also work really well with food. Codorniu Brut, extra brut – try this with smoked salmon, little fish bites, and bruschetta. Also great with calamari, and toasted bread rubbed with garlic , olive oil and tomato, a real Catalan speciality. Cordoniu brut Rosado, Pinot Noir Rose and Vintage Rosado – these would work beautifully with a plate of chargrilled prawns, tuna nicoise, or a sumptuous bowl of strawberries and raspberries. Anna de Codorniu – this elegant, stylish Cava works with gambas, scallops and delicate seafood, as well as being a classic fizz for canapés.